The arrival of a brand New Year brings with it the prospect of a bright, prosperous one. There’s no better time to take stock, and redefine your businesses strategy and it’s goals. Setting your strategy and goals is a vital part of making sure you achieve what you set out to do. This could be putting processes and systems in place to streamline your day to day job role, understanding time management to make sure your productivity is high, setting your pricing structure, managing waste within the business, improving profitability and also, importantly, looking at personal development. Putting a firm strategy in place for your business, and knowing what decisions you can make before they happen can be key to your success. The first step is to identify and define what success looks like to you and your business. Although seemingly straightforward, it may be difficult to define your vision of success and will rarely be as simple as wanting to make £1,000,000 profit in the next year of trading. Having a clear vision of what your business looks like when you’ve ‘made it’ will certainly aid outlining the steps to get there. The vision you outline will be uniquely personal to you, and will have a profound impact on the way you set targets and operate your business on a day-to-day basis. When deciding upon what goals you should set for your business it is important to remember to make them S.M.A.R.T. Focusing on what your business is currently excelling at, as well as your potential growth areas can aid in in making your goals S.M.A.R.T. Ensuring you’re focused on what your business is currently offering, and where you eventually envisage your business ending up a few years down the line, will ensure that the goals you’re setting now are relevant and realistic as they should be based on measurable and predicted data. A good method of setting up specific goals would be to look back at your mission statement. Remembering why you decided to go into business in the first place could be a useful prompt when identifying appropriate goals. For instance, if your mission statement was – to build a world leading brand which is widely praised by our customers, an associated S.M.A.R.T goal could be – To increase employee’s knowledge of the product range in order to respond to client queries quickly & efficiently, to boost customer satisfaction by a minimum of 30% over the next 6 months. Once you have set out your clearly defined goals, it’s time to build your strategy. Put simply, a strategy is a specific, and measurable plan of action for your business to follow in order to meet your carefully defined goals. Clearly identifying your key performance indicators (KPI’s) will ensure you make good business decisions along the way. Your goals will outline what you want to achieve, your strategy will identify what steps you need to take in order to achieve them. While you may think that you have too many day-to-day duties just to be able to run your business, it is important to find the time to plan a comprehensive strategy as this will affect how you approach and perform certain daily activities. An effective strategy will aid your decision making, for example you may identify under-performing areas you need to invest in or there may be profitable areas of your business, which you might not have been aware of, and you may choose to focus on them to enhance growth or profits. Once your goals have been clearly defined, and you have your strategy in place, the last step you need to take is to follow your plan to ensure it is a viable one. Following your strategy for a defined period, 3-4 months for example, will allow you to reflect on its success, highlighting your KPI’s and bringing you closer to achieving your overarching goals. It is during this period of reflection that you will have the opportunity to identify specific aspects within your strategy that are working, or perhaps not working as well as you’d hoped. Identifying these issues within your strategy will allow you to readjust your plan to better identify your KPI’s and overarching goals. 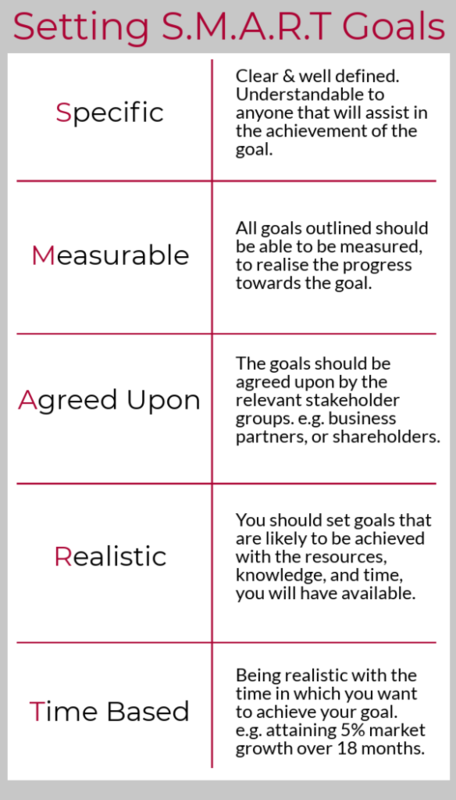 For any business to be successful in the modern market, it is important that realistic and achievable goals are clearly defined, with a strategy in place to ensure you are consistently utilising your key performance indicators, or to highlight what isn’t working so it can be altered. We have a wealth of experience guiding business owners through the difficult process of strategy and goal setting. As accountants, we are perfectly positioned to help guide your strategy to ensure you meet your vision of success through careful interpretation of your historical, and projected financial information. 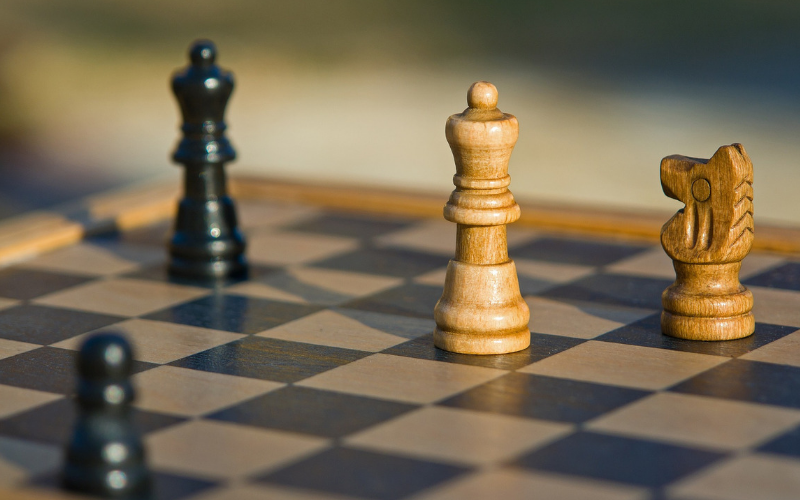 If you’d like to discuss the option of us assisting in your strategy planning and goal setting, please feel free to get in touch with us on 01452 812491 or email info@pricedavis.co.uk.